Siargao Island is a surfer's paradise and is widely known as the "Surfing Capital of the Philippines" with endless places to go to catch the waves. Not only can you surf endlessly here in Siargao, but there are so many places to see and so many things to do on this island as well. 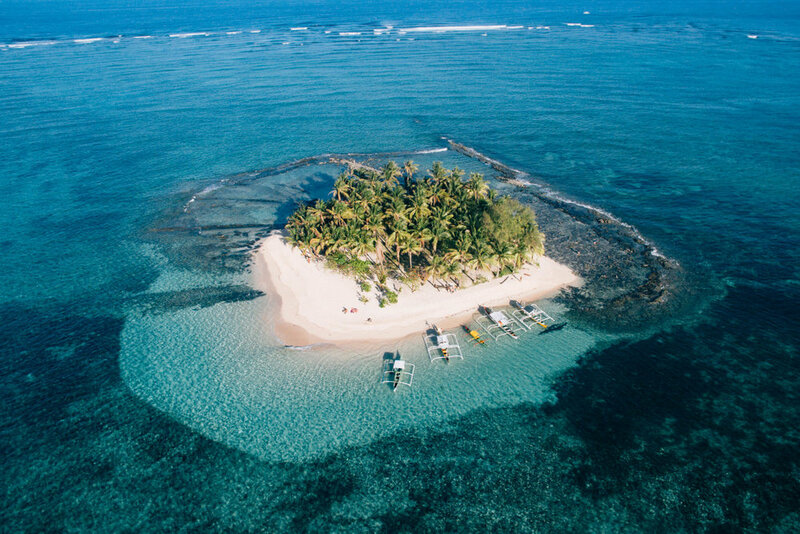 There are two ways to get to Siargao Island, but let's talk about the easiest and fastest way to get there: BY PLANE via SKYJET AIR. 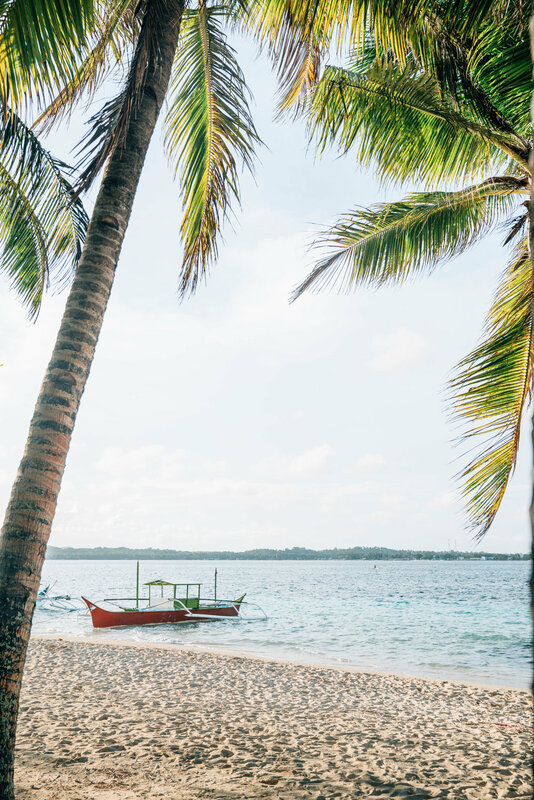 The newly announced direct flight from Manila to Siargao is your best bet if you want to make the most of your stay on the island, plus, if you book their flights you get free baggage 10kg baggage allowance (thats a plus!). Airport Transfers are also available at Php300 per person per way and can be booked by your hotel or you can look for the numerous vans lined up outside of the airport. Lotus Shores is every yoga lover's dream. Located in the heart of General Luna is a quiet & serene place perfect for relaxing and meditating. The best part about this whole place is that it serves the best vegan food on the island with a wide selection of western, Indian and asian cuisine. Arkahayahay was the hotel of our choice for the sole reason that it is a beachfront hotel and being the water babies that we are, it was an easy choice and we got more than we expected because the whole place is bright, clean and the rooms are comfortable at a reasonable price. The resort also has a small restaurant that serves all-day breakfast, lunch and dinner which makes it very convenient for the guests. Located an hour away by motorbike from General Luna is the magical Magpupungko Rock Pools that is one of Siargao's best. It's a natural rock pool that anyone can enjoy to swim in if the tide is low, but can get very dangerous when the tide starts to rise. The water is warm and you can easily jump from the rocks. Although the place has slightly been commercialized, you have to pay a Php 50 entrance fee to enjoy the whole beach area and some restaurants as well. You can find Pacifico Beach just a bit further from Magpupungko and its the most amazing stretch of white sand and blue water, although surfing is not recommended for beginners in this area, the beach is the perfect place to relax. 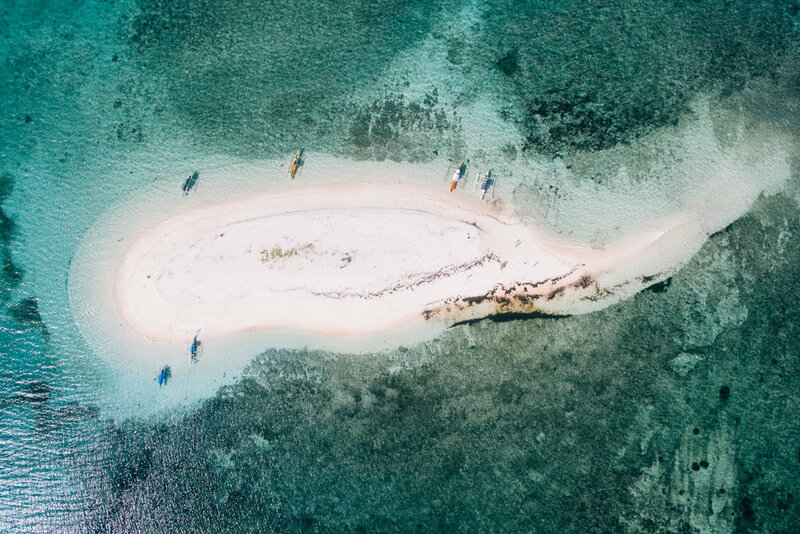 Island Hopping should definitely be on your itinerary because you should not miss the three beautiful islands that surround Siargao. Island Hopping can be organized in the market for Php1500 per boat. Daku Island is the first stop and it is the biggest out of the three. This is the only island where you can order food and eat (you can also buy food in the market and have them grill it at Daku! Yum!). There are also Manu activities to enjoy like snorkeling, volleyball and even surfing. Have you ever seen an island with no trees, no structures, nothing but sand? Naked Island is just that! A narrow island just made of sand, perfect for activities like frisbee or even flying your drone. Guyam island is definitely a favorite of ours because it looks like the perfect place to get stranded (or maybe not), but can you believe that a German man actually set up shop in this island? Dream life! 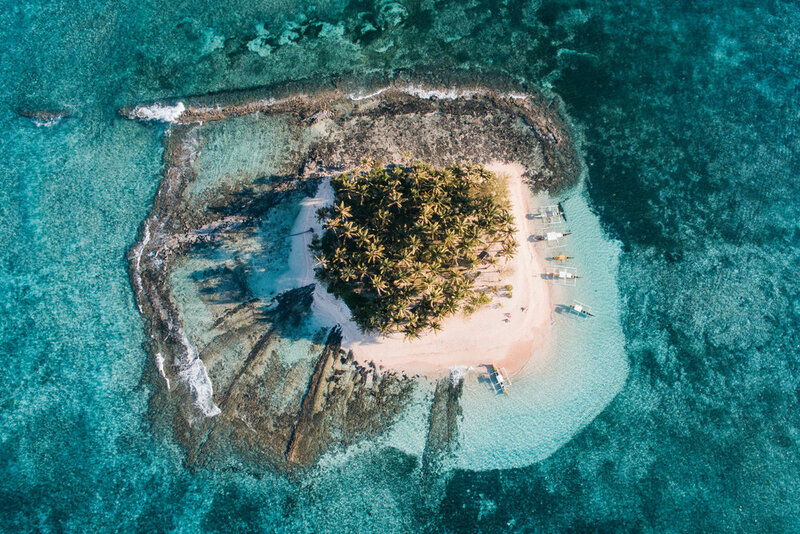 This is the island located closest to Siargao and it looks amazing in pictures don't you think? The rear of this island also has a lagoon that people can enjoy to swim in when the tide is higher. Known as the most popular surf spot in all of Siargao, Cloud 9 has its own viewing deck so you can watch the surfers from a distance, but thats not all that Cloud 9 has to offer because theres also a relaxing part of the beach where non-surfers can enjoy the calm water and drink fresh coco. Did we mention that this place has the best view at sunset? Nobody can predict the weather in Siargao, but the best days are during the summer and in September for surf season. We had amazing weather in early march but there were a couple of rain clouds here and there, but not even rain can ruin the beauty of Siargao! If you have any more comments or suggestions, would love to hear them below!